Welcome to the New Graphic Coaching Site! Hi all. Welcome to my new site! This one is completely dedicated to my interactive graphics work (graphic coaching) with individuals, couples and biz partners. My previous site, http://www.makemark.com/ is centered on my visual work with groups and organizations (graphic facilitation and graphic recording). This site has been a while in coming (like years!) … wonderful to have the first launch of it up. Whew, its been a busy summer project managing all of this coming together. Thanks to Garrett Chan at Raging Creations for his awesome web help! Phase two of the launch: a webstore – will follow in a few more weeks. I’ve written the SHIFT-IT Home Retreat Kit … step-by-step directions for doing your own personal thinking retreat using the graphic approach (17 moves in all!). 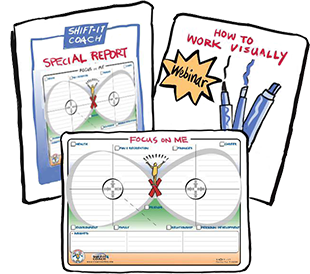 It and a whole lot of other graphic coaching tools will be available for purchase via a handy online store very shortly. 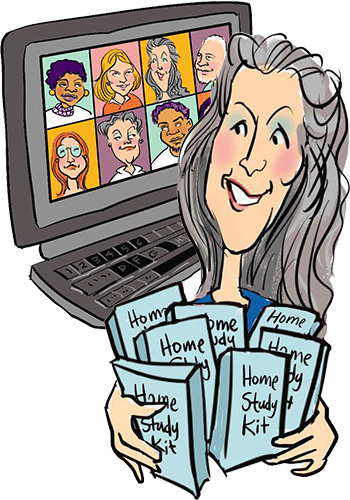 Keep checking back or sign up for the SHIFT-IT e-Zine to be notified when its ready. Please feel free to leave your comments about anything on this site and blog. I and others love to read what you think and how you are responding to the graphic coaching methodology. To leave comments just click the comments box at the end of each post. I look forward to hearing from you! Christina’s Shift-It work was the beginning of the direction that I am taking now in life. She was the first person ever to sit down with me and take me through my dreams and create a future vision. Those visions are manifesting so quickly!I just keep them clear in my mind. The other tools used have all been equally as valuable and I return to them when needed. At the X-roads is always a very powerful tool. Christina was also the first to teach me Law Of Attraction and it is proving to be the most powerful concept I have learned in my life and I am sharing it with so many people worldwide now through my business. Thank you so much Christina for that sharing. I love the new website and would love to chat to more of Christina’s other ‘fans’.